Jungle animals cabin bed! 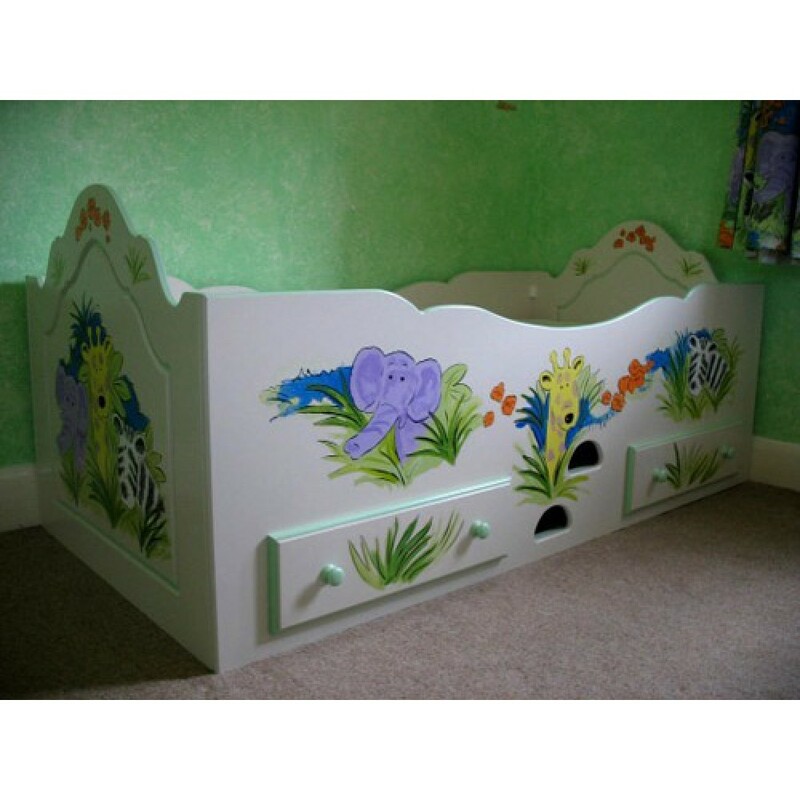 Hand-painted to match client's own bedroom curtains. Furniture shown in off-white with green trim. FAB and FUN!! Send us your fabric and leave it to Chartley Bedrooms! Price excludes mattress.